The use of chlorine for water treatment has a long history since its first use in Jersey City in 1908. Despite the use of chlorine globally to produce safe drinking water, chlorination is not a simple process, especially considering that chlorine itself is toxic. More recently, we take great care to use chlorine properly in order to avoid the formation of disinfection by-products. 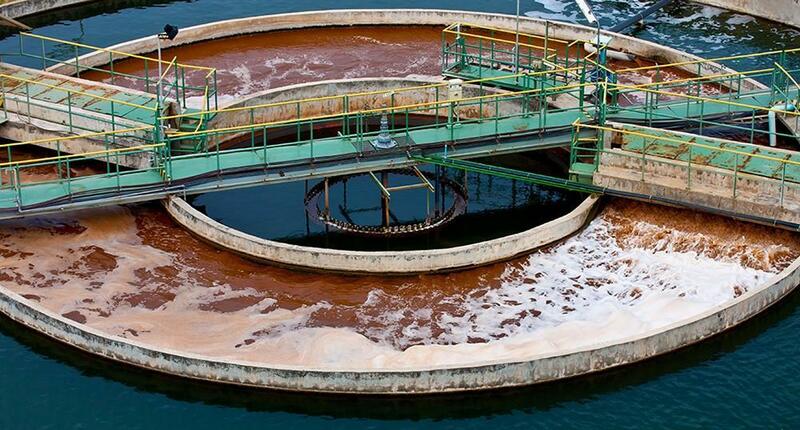 The primary concern of wastewater disinfection is the removal of pathogenic microorganisms. Secondarily, wastewater discharge should not contain compounds with environmental health impacts. While a chlorine residual is desirable in drinking water treatment, it is not desirable in wastewater treatment where chlorine discharged to the natural environment may adversely impact wildlife. Chlorine is able to achieve disinfection goals through bacteria and virus inactivation. Chlorine can also oxidize and degrade soluble contaminants, such as agricultural or pharmaceutical compounds. However, chlorination can also lead to the formation of disinfection by-products (DBPs) through reaction with organic compounds. In wastewater, the high concentration of organic components leads to a higher formation potential of DBPs than in drinking water disinfection. Chlorine can be present as free chlorine or as chloramines. Both groups can oxidize compounds and achieve treatment goals, however, more chloramines are required to meet the same chlorine demand. Free chlorine measurement considers both the ion form and protonated form of chlorine in water, OCl- and HOCl, respectively. Of the two, HOCl (hypochlorous acid) is the stronger oxidizer and is dominant below a pH of 7.5. Chloramines include mono-, di-, and trichlorine, and are formed by reaction of chlorine with ammonia at various pH. Above pH 6, monochloramines are dominant. The measurement of chloramines includes all three forms and is referred to as combined chlorine. Total chlorine is the measurement of both free chlorine and combined chlorine. Unlike chlorine, chloramines do not degrade over time. The amount of chlorine dosed is equal to the amount of chlorine in the residual plus the amount of chlorine consumed in treating the water plus the amount of chlorine that has reacted with ammonia to form chloramines. Organic molecules that are not removed prior to disinfection become precursors for DBPs that are potentially harmful to human health. Free chlorine reacts to form compounds such as trihalomethanes (THMs) and haloacetic acids (HAAs), two groups of halogenated compounds with adverse human health effects. Chloramines form less DBPs than free chlorine due to their lower oxidizing potential, however, they react to form N-nitrosodimethylamine (NDMA), which is a highly potent carcinogen. Methods of preventing DBP formation are to remove known precursors, avoid excess chlorination, or to select an alternate method of disinfection. In general, chlorine and chloramine are the most cost effective methods of disinfection, but if DBP removal is required, other disinfection methods become cost competitive. Since UV does not introduce a halogen to the system, halogenated DBPs including THMs and HAAs are not produced during UV disinfection. Other by-products may form, such as the photodegradation of nitrate to nitrite. However, the products of UV disinfection are not produced in concentrations that raise human health concerns. In fact, UV has the potential to degrade DBPs and is also effective at degrading chloramines. Chlorine demand is difficult to predict since it depends both on the water quality as well as the specific distribution of chlorine forms. Continuous monitoring offers the best control over a chlorine disinfection process. Off-line testing of chlorine relies on the indicator chemical N,N diethyl-1,4 phenylenediamine sulfate, known as DPD, which can be used in either a colorimetric or titration method. On-line measurement of free chlorine uses an amperometric method, relying on conducting electrodes and a membrane. Additionally, measurement of the oxidation-reduction potential (ORP) provides information on the oxidizing power of the chlorine dose, which changes as a result of speciation between HOCl and OCl- and reaction to chloramines. By measuring free chlorine, ORP, and pH, a chlorine disinfection process can be effectively and efficiently monitored.